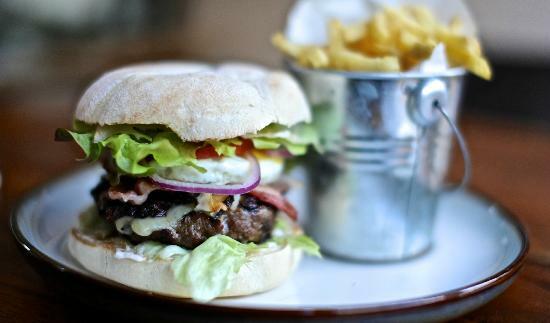 Its National Burger Day this Thursday (25th August) with Urban Burger! We’ve teamed up with our friends at Urban Burger on Queen Street, Exeter to give away a whopping meal for you and three lucky friends or family. All you have to do is listen out in Drivetime for the Burger Song by Billy Cool and the Whips, then text in to the studio for your chance to win. Urban Burger is giving away a free milkshake with every meal from 25th August and right across the bank holiday weekend if you say the special phrase “COW JUICE”. Get down there for some fantastic food. See their great menu by clicking here!